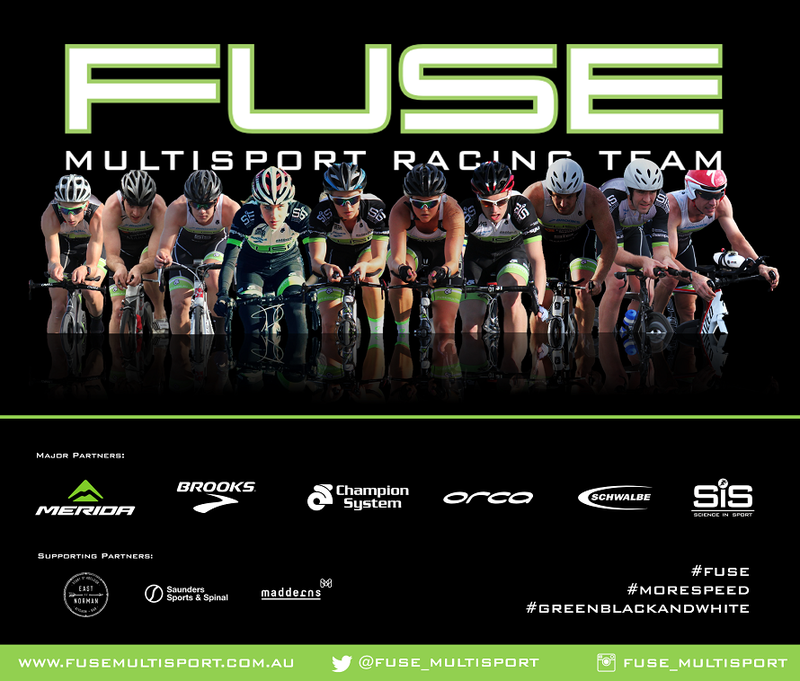 Emerging South Australian triathlete Sam Tebeck discusses his preparation for the 2012 World Championships to be held in New Zealand in October with Fuse Multisport. FM: How has your preparation been going for the World Championships in New Zealand? ST : We commenced training for the worlds in April and the whole group has worked extremely hard to get where we are now and ultimately where we want to be in October, and then in the other major events we are competing at next season. Individually my training has been coming along really well. I have achieved a number of personal best results on the bike and in the pool, which has been very confidence inspiring and great evidence that the hard work myself and my coach Steve O’Brien has been putting in is paying off. I have had my downs though, running is my background, and I love it, but a niggling leg injury over the past 3 months has really halted performance gains in this area. But I’m confident that it will recover in time to get a solid block in before New Zealand, and I cannot wait! FM : Last season was your first full season of competition. Now that you have a season under your belt, what are your objectives for next season? ST : Looking beyond New Zealand I am setting my goals high and putting everything I possibly can into achieving them. After Auckland, I will compete in Olympic Distance races in Devonport, Victor Harbour and Geelong in the open field for the first time. My aim in these events is too give it 110% and simply see where I go. Ultimately, I would love to be in the top five in Devonport and Geelong and then push for a podium finish at Victor Harbour in the open category. I also have been offered a highly valuable opportunity to compete in a few sprint distant races in Victoria prior to Geelong. This will give me valuable experience against some very fast athletes - and I enjoy racing over the shorter distance for something different. FM: What was the most important thing you learnt last year? ST: I remember a very important time prior to the start of the 2012 Geelong Olympic distance race. My coach gathered the group together and said this: “Be in the moment, think to yourself, is this the hardest I can possibly be going right now? Forget what is left in the race, whoever is around you and be in the moment.” This is a quote that I will never forget and since that race in Geelong it has been something that I have constantly referred to. FM: What do you consider to be the most important aspect of training? ST: To be the best in triathlon it takes absolute 100% dedication to completing each and every set exactly how it has been set out by your coach. I believe there are many triathletes out there who are able to complete very high training volumes each week. What separates the best from the rest is they are able to dig deep within themselves when needed to. When it is your 6th hour of training for the day and your coach asks you to run a 1600m effort at or above your race pace, the best give it their all and are not happy until they can’t give anymore to the session, while others may be happy simply hitting race pace. FM: What are your future plans in the sport? ST: Last season was such a big step forward and I can only imagine what is going to happen in the coming years. Ideally I would love to be able to keep this rate of progression but I know things will slow! But, I am very determined to keep progressing and there are a few things I would like to set my sights on. Firstly, I really want to develop my swim and run legs in hope of competing in an ITU draft legal event in the next 5 years or so. But, I also enjoy the non-drafting format. Whether that leads me into racing 70.3’s or even the 5150 series in Europe is for the future to tell. I just want to keep improving and have fun living the life of a triathlete!